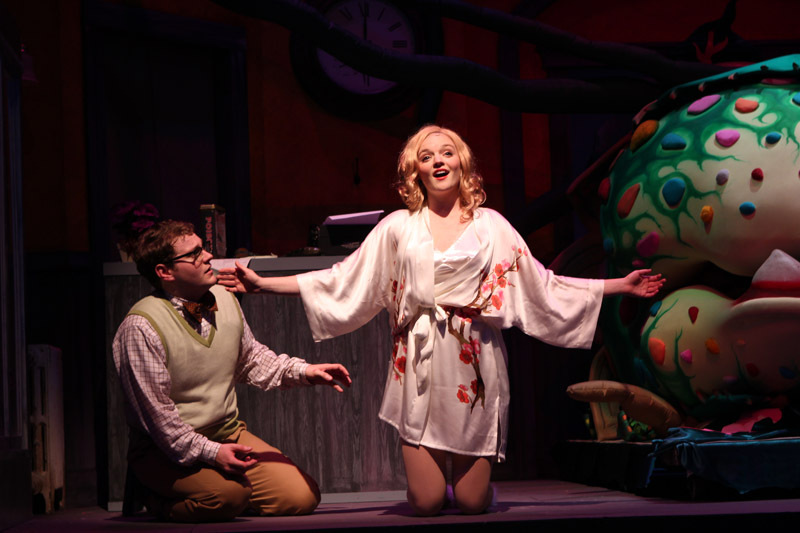 If you’re looking for a play with superior effects and awe-inspiring visuals, Charleston Stage’s production of Little Shop of Horrors at the Dock Street Theatre is the show for you. The plot focuses on Seymour, a poor flower shop employee whose fortunes are forever altered by his discovery of an unknown plant that feeds on human flesh. 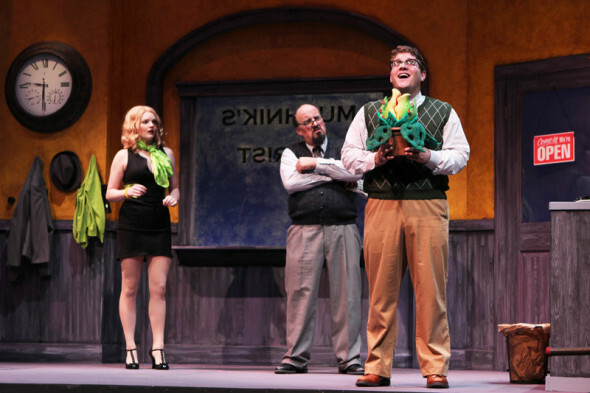 A musical black comedy, the script nicely balances humor and horror. Slapstick and satirical song lyrics meet moral dilemmas touching on the extreme acts necessary to achieve stardom. The music is adeptly performed by a nine-piece ensemble, reeling off catchy tunes in the style of early Motown and doo-wop. The song “Skid Row” introduces the audience to the plight of the characters, their dreams of escaping the ghetto, and their feelings of hopelessness and loneliness. 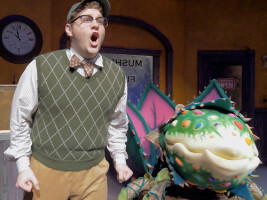 In another piece, entitled “Somewhere That’s Green,” the female lead, Audrey, sings about her ideal suburban lifestyle. Though humorous—in fact, one of the funnier songs in the play—her desire to escape her rotten life, even to cookie-cutter suburbia, is emotionally impactful. All the players perform admirably, owning their roles and flawlessly belting out melodies, but the true stars of the evening are the Audrey II puppets. On loan from the national tour, these man-eating plant mock-ups are astounding, growing as the show progresses to the point of jaw-dropping immensity. 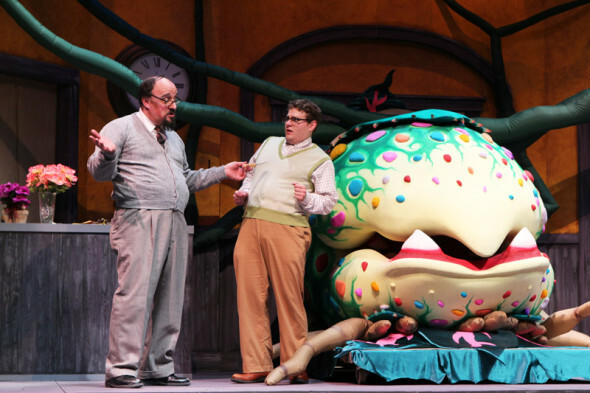 Their intricate design and demanding puppetry is sure to inspire bewilderment. A production of this magnitude can’t help but lack intimacy, and if you’re searching for the subtlety of fine art or innovative modernity, look elsewhere. But it’s a perfect night out for the family, appealing to all ages (if you don’t mind a few jokes about an abusive boyfriend and his nitrous oxide addiction). Shows run through November 1st so get your tickets now. Posted on October 23, 2015 by admin.